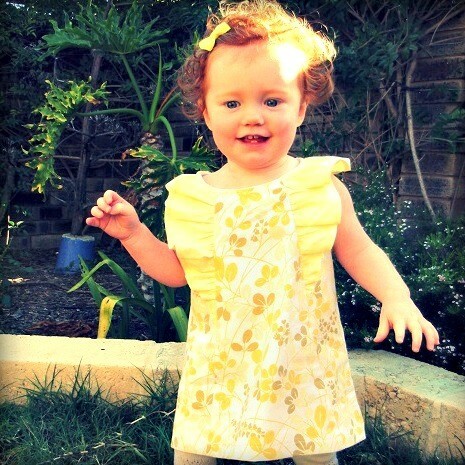 Up-cycled Lemon kisses dress in summery yellow. The perfect vintage party dress! This dress is a classic A-line shape and has princess seams. Made from vintage fabric with lemon ruffles and a zip fastening. The vintage fabric is in excellent condition, has been fully laundered and up-cycled to make this unique dress. I make my own patterns and can easily adapt or customize these on request. Please allow me 5 working days to complete this dress. All of my clothing items come professionally labelled. Free pretty gift wrap always included.